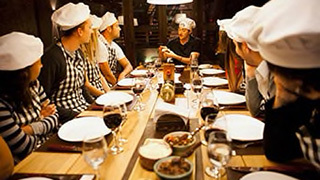 Princess Cruises has announced a new culinary shore excursion program in collaboration with Bon Appétit, offering guests the opportunity to enjoy authentic culinary experiences through a selection of 30 new tours. Through the new partnership, Princess guests will enjoy tailored excursions that offer opportunities to engage with local life in a small-group setting, exposing them to local ingredients and cooking styles, as well as demonstrations and tastings from local chefs and personalities. Guests can choose from a selection of ‘Exclusive’ and ‘Recommended’ tours developed in partnership with Bon Appétit, designed to best demonstrate the brand’s focus of “where food and culture meet.” Exclusive Tours are available only through Princess and Bon Appétit, while on Recommended Tours participants discover the places they visit through cuisine endorsed by Bon Appétit. More information on the new Bon Appétit shore excursions can be found here.